Aye and they're aw deid! 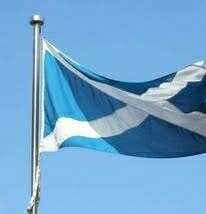 Happy St Andrew's Day to all my readers! It isn't often you see five Thornbridge beers on handpump at the same time - at least not in my experience. Me and the lovely E called into the Waterhouse for a sharpener before meeting friends for dinner just along the road and then heading off to see comedian Dave Spikey. I fought my way to the bar and to my surprise, there they were; Kipling, Pioneer, Jaipur, St Petersburg and a new Christmassy beer, Hark. Now we only had an hour, so where to start? It had to be Jaipur. This was rich, hoppy, floral, resinous and as always, it had a distinct hazy cast, which didn't make a jot of difference to the taste. Kipling though was full of sharp edges and to both of us, tasted harsh and unbalanced. I was glad it was just a half. St Petersburg was stunningly good, rich, fruity, malty, with warming alcohol and a coffee and hops finish. Hark had cake spices in and was surprisingly to me at least, pale. It was spicy and interesting, but not particularly moreish. And that was it, time was up. I don't know why this JDW was showcasing Thornbridge, but it was nice to see and as they had another four or five pumps dispensing other beers, there was something for everyone..
We did call back for more after Mr Spikey, but such was the crush at the bar, that we couldn't even see the handpumps, so retreated next door to the City Arms for a very decent pint of Copper Dragon Golden Pippin. No hardship there! The poll was interesting in that the smoking brigade, mostly anonymously, popped out of the woodwork to vote. Another interesting feature was the dodgy and bloody boring stats that were hauled out to defend the cause. One thing was clear from the smokers. They wish to conflate the smoking ban with a general health push against drinking; you can decide for yourself on that one. Most who didn't smoke, it appears, couldn't care less about smoking, but just didn't want to stink of the stuff. That aspect was scarcely addressed by the pro-smoking brigade. I could go on, but won't. So if you count answers 1 and 5 as "anti", they polled a respectable 34%. If you count answers 3, 4 and 6 as "pro" ban, that is a total of 46%. The middle ground of a modified ban polled only 18%, so it seems we are all pretty entrenched in our positions. I notice it doesn't add up to 100%. Seems 3% is lost in the rounding. My conclusion? Smokers were the ones losing their "rights", but even now they don't favour the compromise solution. Seems they weren't and aren't prepared to compromise even retrospectively. Non smokers aren't either, but they don't have to. I have mixed views on this. 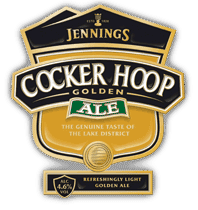 While I can see that they don't want the Jennings name to vanish for a while, it opens up all sorts of unpleasant options for the future brewing of Jennings beers. And flavour match in a week or two? I don't really think that's likely. Maybe it would just have been better to keep them gagging for it for a couple of months? I think it was Woolpack Dave that suggested that cask is a premium, hand crafted product - or words to that effect - and as such should command a premium price. I am pretty sure it was Curmudgeon that suggested to Dave that until we always have premium quality, expecting the punter to pay top dollar was being a bit previous. Cask at its best is brilliant and at its worst, is bloody awful. Too often it is a losing ticket in a lottery. When we arrived back in E1 from Brussels I fancied a good old British pint to refresh me. The pub chosen for once will not be named as I am just illustrating a point. In a highly rated GBG pub, this is the pint I was served. Inviting isn't it? Flat as a pancake and warm. If you look at it though, you'll see it is clear as a bell and it certainly didn't taste off, but it was pretty hard to drink. Something had happened to the beer between brewery and pub I'd say. This was a well known beer from a respected brewery. I know they don't send out beer that won't condition. Until a pub can guarantee consistency, charging over the odds for cask just isn't on. 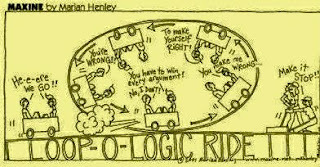 If your beer is always good - and it can be if you know your stuff - go ahead and charge a premium. The customer will feel less cheated than paying "normal" prices for a poor pint. Swirling by E, drunken babble by office workers. I have tried to make it as reasonable as possible and cover all the main views. Have your say. Has anyone noticed the astonishing likeness of British TV chef Nigel Slater to our own dear Sausage. I wonder if they are by any chance related? Either way, a handsome pair I think you'll agree. We had a good time there. We emerged from the tunnel into bright sunlight and that's the way it stayed until it got dark. I almost entirely stuck to gueuze and enjoyed particularly two of the pubs recommended by John Clarke. Poechenellekelder was a late visit and was bustling and cheerful, with great staff and a well chosen list. Pricey and smoky though. We both loved Fleur en Papier Dore where we had our first drink. A protected interior of astonishing variety, once the haunt of the impressionist school and the originator of Tintin, we were lucky enough to have the owner come over to explain its history. Absolutely delightful and no smoking too. A find and to me, Girardin Gueuze was my beer of the day, though I did enjoy all the ones I tried, with De Cam, Cantillon and Oud Beersel just being pipped by the Girardin. We also called into the new Oude Moeder Lambic which is very impressive,friendly and modern, though I think that they could do something better in presenting their beer list, as it isn't really clear what beers are on handpump - six of them - and what ones by, I assume, CO2. You'd also have to have waist size under 36" to sit comfortably at the tables. Even skinny Belgians were looking rather squashed. Thanks for that one Laurent, but you and I would have to sit at the bar! Great pubs, a great place and lovely weather. The obligatory leisurely moules and frites lunch plus E buying the obligatory chocolates, completed a good day. We walked back to the badly signposted station, but were thwarted in our intention to have a last beer in Le Laboureur, a beery outpost in this very North African area of the city, but it looks not only closed, but permanently so. We found a nondescript bar and a Duvel completed the day. I'd almost forgotten what I lovely beer this is, but it really is top class. Brussels is a great day out with smashing pubs, it is easily and enjoyably walkable, has great food and lots of shops to gaze into. It isn't cheap with a gueuze usually about €5.50 - €6, but then again, these are sipping not swigging beers. I'm off to London at 13.55 and tomorrow it's my day trip to Brussels.I'm fully armed with the info I need from my earlier post on the subject, so thanks to all, particularly John Clarke. Not sure what beery delights I'll be having at the weekend, but I have Friday free to wander about. It's going to rain though. London is always warm, so warm and wet. Bah! There are rumours that Tyson might be around on Friday. I'll text the bugger. My attention has been drawn to an article written about beer, by Oliver Thring, a food blogger. It appears in the On Line Guardian and if I may say so, misses at least a bit of the point when he asks the question, "Handcrafted lagers are making a comeback despite opposition from the real ale lobby. Is Camra right to dismiss these beers, or is it just snobbery?. On the main assertion, does CAMRA "dismiss these beers?" and does it oppose them? I rather think not. The leap of logic, present in so much of the stuff written about CAMRA, usually concerns what CAMRA should do, rather than what it does do, and, the mistaken assumption that CAMRA is an umbrella organisation for beer. It quite simply isn't. CAMRA's role, as defined by its constitution, is to promote and defend the interests of cask conditioned ale. CAMRA's Iain Loe, puts it maybe a bit more bluntly than I would, when he says "We appreciate high-quality products, and we wish good luck to these brewers. But if you want to build relationships, don't come to us and say 'We started producing beer in the last five minutes and now you have to change everything you believe in' - it's a mixture of naivety and arrogance." Thring then goes on to conflate cask and non cask lager, quoting in the piece blogger Mark Dredge, in his praise of Harviestoun (a cask lager producer) and finishes by asking if we should be given the opportunity to enjoy these "distinctive and interesting beers", as if their availability was somehow conditional on CAMRA approval. Beer writer Pete Brown chipped in commenting " I was judging at a CAMRA beer festival recently and there were three cask lagers on - conforming to CAMRA's dispense rules. They were classed as 'speciality beers'. Yeah, that's right - lager, that unusual, hard-to-come-by niche beer.". Doesn't that sound reasonable until you examine it more closely? CAMRA, unlike organisations such as the American BJCP with its 23 different beer styles, has only a limited number of categories of beer. (Ten since you ask). There isn't one for cask lager, though I don't see why they wouldn't be classified as "golden ales", but whatever they are, there isn't a lager category, as there isn't enough of it around to justify such a category. Simples? My belief is that lager, in both its cask and non cask forms, is a welcome choice when I see it in the pub. What is really important is to wean people on to quality beer, whether lager or ale, but that's another story and a very difficult thing to do in this country where pile it high and sell it cheap distorts the quality/price equation. The emerging small lager brewers are likely to remain a niche for the foreseeable future - that is the role of small producers in this country, like it or lump it. To ask CAMRA to somehow give them a leg up by changing all they believe in, is not only naive, but an ask too far. They must stand or fall by their own ability to penetrate a market which is likely to be indifferent to them. An inconvenient truth? Maybe, but the market will decide. CAMRA is far too often an easy target for those who wish things beery that are, weren't so. Words and attitudes by a few are distortedly taken to be representative as a whole. I am sometimes drawn to defend them, not just by my membership, but by a sense of fairness - of redressing the balance. In this case, it is simply that the case against doesn't stack up. The founding of LOBI ( Lagers of the British Isles) would seem to acknowledge that there is a need for an organisation to represent new wave lager brewers , though I read a comment elsewhere by John Clarke that "Interestingly I understand that Taddington Brewery, producer of arguably the UK's finest lager, have declined to join LOBI". The Morning Advertiser has the news that Wetherspoons is buying five pubs from Punch Taverns. I read the list without expecting to know any of them, but I was wrong. One is the Childwall Fiveways Hotel in Liverpool. I know it,or rather, knew it rather well. Set back from a massive road junction - no prizes for guessing how many roads converge there - The Fiveways was one of the nearest pubs to where I worked in a Social Security office in South Liverpool over twenty years ago. It was usually the pay-day venue for lunchtime beer, for the simple reason that most banks were nearby, back in times when cash machines were a rarity, lunchtime drinking wasn't frowned upon and pay-day couldn't come quickly enough. In those days Higsons of Liverpool owned it and many pints of Higgies Bitter were supped, while claimants sweated it out in the waiting room, waiting for claims to be assessed and their giros issued. It was also a stopping off point on the way home once in a while too, though usually we preferred the better beer choice at Wavertree, a few bus stops down the road. Now it will be a JDW outlet by January next year, but to me, it will always be the fifties style pub it was when I first went in it. 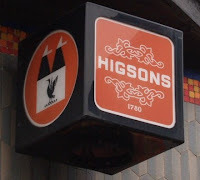 Splendidly old fashioned, redolent of polished wood, red handpumps, parquet floors and my beloved Higson's Bitter. I have been busy for a few days, but one or two things to mention in this great beer drinking world I live in. On Thursday I took my National Certificate for Personal Licence Holders exam. I don't know the result yet, but know from discussion I have got two wrong. Doh! Afterwards we went to the Black Lion in Salford for a pint. A relatively new opening, or rather re-opening, it is a really nice corner pub, run by the same people that run the nearby New Oxford. Like the New Oxford, it offers a good range of beers, despite in this case, an Enterprise tie. Unfortunately the beer we tried, Phoenix Arizona wasn't at its best, so we beat a retreat to the Angel, now divested of its gastropub status and just a proper pub again. We didn't enjoy Williams Brothers Gold. Its description of golden and hoppy only met the criteria on the"golden" bit. It was sweet beyond belief. Given that we had walked a couple of miles all in and had not had a good pint yet, we cut our losses and went to the Marble. Glorious pints of Pint restored our faith in cask ale, but there was a sting in the tail. I finished on Dobber and it was poor and unrecognisable as the great beer it is. Even the best can have an off day! I mentioned also that Lees Bitter had disappointed recently. Those lovely chaps at the brewery have sorted it. Alerted by a text from my mate John who had sampled half a dozen in the THT to make certain of the return to form, I went to the Old Boar's Head and the Lancashire Fold. Both were providing bitter in top form, so much so that when I bumped into Lees Second Brewer I didn't mention it, though I did tackle him about boring beer. He put a flea in my ear as he always does when I bang on about hops, but we parted friends! Soon I'm off to the THT to check things out. It is sometimes too easy to look at the beer world from our lofty and geeky towers and demand new, or better, bigger, bolder, stronger, faster, more type beers and overlook that we are in a decided minority. As one who knocks boring brown beers constantly, you might wonder if I've any windows left in this glass house, but then I get out and about a fair bit and have my feet firmly enough on the ground, to know that most people that drink beer, simply don't see it my way. I was reminded of this in two ways yesterday, firstly in Wetherspoons, where I nipped in to see what was on in their festival. I had my fingers crossed for one I hadn't had and while on my way, visualised Thornbridge Pioneer on the bar, in the vain hope, that mind over matter could make it so. It wasn't. Instead I had excellent bitter and dry Purity Gold, Lees Supernova, which packed in liquorice and chocolate flavours in a full bodied - yes full bodied - 3.5% variation of their mild and a half of Mordue Porter which was coffeeish and very decent. But I digress. There were a few customers experimenting with the guest ales, but most, despite the relative cheapness of the festival beers at £1.49 a pint, stuck to good old much more expensive, John Smith's Smooth. I overheard one table of drinkers say that they'd be glad when the festival is over, so that can get back to ordinary beer. Now this isn't an affluent area by and large, but these people were choosing to pay more for (what is to me and probably you) an inferior beer. Where pennies count for a lot, the attraction of interesting cask beer was at best, limited. The second incident was in a local Lees pub where the bitter was, most unLeeslike. The miserable drinkers were complaining about this. (I get approached a lot in this way - being the local CAMRA guru in a small town - people think I can do something about it). It isn't a good thing when a brewery's main product isn't up to snuff. You neglect your core products at your peril. To do so will lose you more trade than almost anything else, as those who know and love the beer, the gallon men, will simply have one and go home grumbling. Cask beer these days is a bit of a niche product, albeit an expanding niche. Most of the expansion though, in volume terms at least, is in the cooking bitter that can be dismissed as "ordinary, dull and brown". I like to see brewers push the boat out as much as the next person, but it is these mainstream beers that keep the mash tuns filled. While brewers should be more bold in their product line, particularly when they do occasional or seasonal beers, it would be foolish for them to abandon boring brown. There. I've said it. I don't have to like it, but I know it makes sense. This post scratches the surface of an issue ( what beers should brewers be brewing) that intrigues me. I know it is written from (as usual) the pub going point of view, but I'd be interested to know what others think. Of course my preferred niche is the specialist cask ale pub where little of this applies, but I drink more Lees Bitter than anything else. Blog commentator John Clarke, wrote some time ago - on my blog I think - that "I get the sense they (Brew Dog) may be starting to believe their own publicity. " Following their latest foray into self publicity, reported brilliantly and with passion by Pete Brown here, they have been furiously back pedalling to try and regain support - or as they would have it, explain their position. 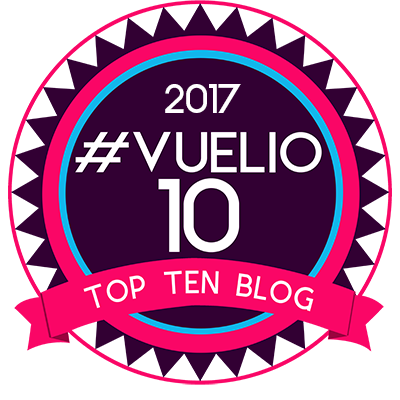 I am not going to say much more about it, as it is all said on Pete's blog and even on the ultra loyal Pencil and Spoon blog, that they have overstepped the mark. Maybe the old adage that there is no such thing as bad publicity is being heartily disproved here, but will lessons be learned? Somehow I doubt it. Back to beer, I'd also like to hear James of BD say something somewhere about his cask ale policies. When I did my judging last week I was pleased in the first round to be tasting "Bitters and Pale Ales (Up to 4.0% ABV)". I didn't fancy the other cask category of "Strong Ales (Over 5.6% ABV)". My table was hardly expert, with a local wine merchant who spat all his beer into a bucket, a nice, young, cask ale loving lass who'd won her place in a Barrow Evening Mail contest and the boyfriend of one of the SIBA women who were providing general assistance and bringing us the beer. We tasted eleven beers and oddly enough, this motley collection more or less agreed on everything. What do I conclude from that? Well, I suppose, that when beers are good, bad or just indifferent and you are approaching them with an open mind, even if not to your taste, most people will recognise what is good and what is not. When you are doing comparative tastings, it all becomes reasonably obvious, though of course there were differences of opinion. Were the beers all good? No. Some were poor, most were decent enough, but most were disappointingly and predictably samey. There was two stand outs in our list. Both were golden, complex, well bodied and hoppy. The modern face of bitter beer? Maybe. Going back to previous posts there was little "innovation". It was a boring old roll call of Fuggles, Goldings, Northdown and Styrians and mostly brown beers. Now I know micros need to have a "cooking bitter" and that a well made mainstream beer will sell, but I do wonder why, in a competition, they didn't put forward something more characterful? There does seem to be a general reluctance to push the boundaries here. 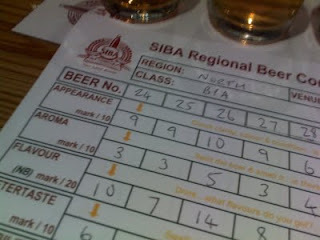 I also judged strong bottled ales. Not my forte really, but I was lucky enough to sit beside Cask Marque's inspector for East London where my flat is. He was able to confirm that the London malaise of warm beer is being pushed aside and that all over the capital, cellars are being re-equipped with decent refrigeration and that standards generally are rising. That's good news isn't it? The Hawkshead Brewery is state of the art and the Beer Hall where we did the judging is a lovely modern venue. Hawkshead Organic Stout - drunk for pleasure -was superb. I also met Jeff Pickthall properly and you know, he's a nice fellow. 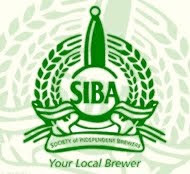 Tomorrow I'm off for a little light judging in the Society of Independent Brewers (North) Beer Competition 2009 to be held at Hawkshead Brewery in the Lake District. It promises to be an interesting day out and one which I looking forward to. I'll report back. Brew Dog At It Again? I read with dreary, fatalistic resignation that James Watt, the High Priest of Brew Dog, claims that CAMRA is the devil incarnate - "I blame CAMRA for single-handedly holding back innovation in British brewing says he in an American on line magazine, Full Pint. Com. Knocking CAMRA in this way was only a matter of time. (His relationship with CAMRA in Scotland is one of mutual distrust as I understand it, with not all the wrong coming from CAMRA.) Putting that aside there is a little context within his comments which softens these remarks somewhat, in that he mentions CAMRA's emphasis on "focusing on too few beer styles". Fair point maybe, but really when you stand this on its head, too few beer styles originate from British Brewers. If you don't have innovation in brewing, you can't really pick up on these styles and comment or support them can you? So really if you think about it logically, Mr Watt is actually complaining about the lack of imagination and vision, not of CAMRA, but of British brewing - of his fellow British brewers really, though no doubt he'd argue that CAMRA encourages their staidness. Rather more strikingly, James is complaining about the very gap in the market he is exploiting so successfully and on which he bases his future expansion plans. Like his brewing, his reasoning is rather innovative when you examine it more closely. Now it has to be said that sometimes CAMRA doesn't help itself. Image has always been a problem as we all know and CAMRA sometimes seems to tread the wrong line. Roger Protz recently wrote about how golden ales shouldn't be pushing "traditional" brown beers out, both on the bar and in competitions, but to my mind, the main innovation in British brewing is at that "pale"end of the spectrum, not in the brown session market. I doubt if Roger meant to come across as a stick in the mud - and reading his excellently favourable article in "Beer"about oak aged beers, he gave no such impression - but it allowed the anti CAMRA brigade to have another swipe. Another point and one I have made before, is that basically Brew Dog are a bottled beer brewer who do the odd cask (and do the odd cask very well). CAMRA members are pub goers by and large, so James is blaming an orange for not looking like an apple, to some extent at least. It would be nice to see James pushing the cask aspect of his business a little more come to think of it. Going back to innovation, British brewers by and large are the most staid and conservative bunch you could ever meet - with of course, honourable exceptions. (Try persuading a Regional Brewer to do anything different and you'll be met with hostility and usually condescension). Even micro brewers, on the whole are brewing incredibly dull mainstream beers, again with honourable exceptions. The real need for innovation comes at brewing level and one thing I think CAMRA should do much more of is to campaign seriously for that. CAMRA has been a bit too easy on traditional ale brewers in this country and at both local and national level, we should try and correct that. There is indeed too much emphasis on "boring 4% beers, with boring hops". So come on brewers. Give the public 4% beers, but please give us choice too. Innovation isn't and shouldn't be the sole domain of smart young things. The market is changing and needs to be grabbed and reshaped. CAMRA needs to embrace and promote both tradition and innovation. And finally Brew Dog is establishing its niche and I doubt really if James wants too many other brewers to steal his clothes by out innovating him. He wouldn't want to become mainstream, so maybe he should be careful that what he wishes for doesn't become "too" true. See? I'm caught up in BrewDog whether I aim to be or not. Their stuff works on me too. They are part of the brewing and blogging scene now. We had a CAMRA meeting last night and it gave me the opportunity to try two beers I've never had. First was Saltaire Republika, a strawberry infused blonde beer which was surprisingly good, with a whiff of fresh strawberry on the nose and a good bitter finish with strawberry again evident. Interesting and different, but I dare say it will appeal to some more than others. More promising, as they always are, was a new beer from Mallinson's of Huddersfield. 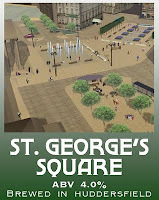 St George's Square is pale, full bodied, spicy, with a long bitter finish. It was really excellent and was my beer of choice for the rest of the evening. The Baum, our hosts and our current Pub of the Year lived up to its reputation. 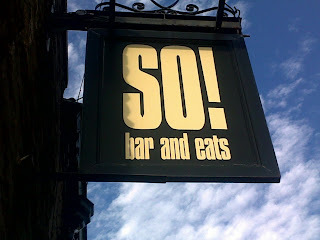 The beer was on top form and as a bonus, though some won't approve no doubt, they offer 40p off a pint to CAMRA members. Both Saltaire and Mallinson's are tremendous breweries. Seek them out. Whatever Happened to Dave Hastings? Anyone remember him? 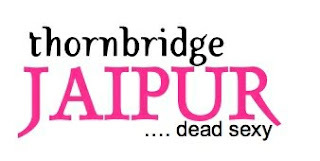 He came, he insulted, he left and now his blog has gone from the blogosphere. I spent the weekend there with my CAMRA chums and of course, Eileen. A quick run down of impressions will suffice I think. The pub scene is relatively thriving. The usual rule applies in that good pubs were really busy and crap ones weren't - not that we spent any time in crap ones - but we did look see a few times. The cafe bar scene is big there, with modern IKEA furnished places abounding, but as well as food and foreign beers (a must), well chosen cask ales completed the picture. Ripon was big on these, as was Knaresbourgh. Cask beer was uniformly in good condition, though with a few surprises. John Smith's cask was widely available, as was Theakstons and Black Sheep. The JDW in Thirsk, where we stayed, was excellent with brisk and friendly service and good beers from the JDW festival list. My usual luck with North Yorkshire weather held. That is, it pissed down, so much so that we just stayed in JDW all night, until we drank them out of the excellent Grumpy, brewed by Port Brewery's Tomme Arthur at Shepherd Neame. This was resinous, bitter and hoppy with the amarillo hops shining through. No caramel malts to ruin it either. Delicious. Best pubs were old favourites, Blind Jack's in Knaresborough - heaving on a Saturday lunchtime and The One Eyed Rat in Ripon which had a German beer festival on. Both are old favourites and "don't miss" destinations. Best beers? The aforementioned Grumpy, closely followed by Saltaire Bavarian Gold. The One Eyed Rat was full of us CAMRA types, a visiting (posh) rugby team from Darlington and locals. It was an eclectic mix and the friendliest scene imaginable. All mixed easily. That's one sign of a good pub. The quality of the offering is another. It seems a bit like ancient history now, but it was only last week, so I better mention Bewdley before my memories fade altogether. I hadn't been there before, but it is immediately attractive with the Severn flowing through it and lovely old buildings lining its banks - apart that is, from a grim office block on the far bank which should never have been given planing permission. We stayed in the JDW George, a rambling old coaching house. My room was in the rafters and was immensely attractive, though a steep climb up lots of stairs. We tried a couple of the beers in the bar. Not impressive at all was Galbraith's Luncheon Ale from New Zealand (brewed at Everards) as it just seemed a middle of the road brown bitter, but we were happy to find in form Purity Pure Gold, so all was not lost. The young staff here were attentive, cheerful and quick, so credit where it is due. We spent most of the day on the Severn Valley Railway, so that no-one had to drive and as it was all steam that day, enjoyed the experience, including being pulled by the new Tornado,the first steam loco to be built for donkey's years. Kidderminster was, by and large, a forgettable dump, though with a very pleasant railway buffet, restored to GWR splendour and including very decent beer. Then the long haul to Bridgenorth where we camped out in the buffet there, an old haunt. Beer was again splendid, apart from a disgusting near the end of cask Northumberland Fuggles Gold. We complained to no avail and had to buy replacements. "It is meant to taste like that" being the response. We left for our train and returned unexpectedly as our train was delayed, to find the Fuggles Gold off and the lines being cleaned. Naughty. No great pub crawl in the evening. Just three highly recommended pubs, the delightfully busy Mug House for more Purity and Hereford IPA, the Waggon and Horses with Wye Valley Butty Bach and more and the Woodcolliers Arms for a nightcap of real cider from Westons. Bewdley as an absolute delight . Go there if you can. 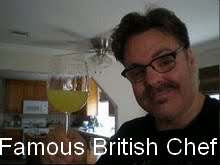 The photos show my mate Steve experiencing the Fuggles Gold and a view of Bewdley with the Mug House in the background.